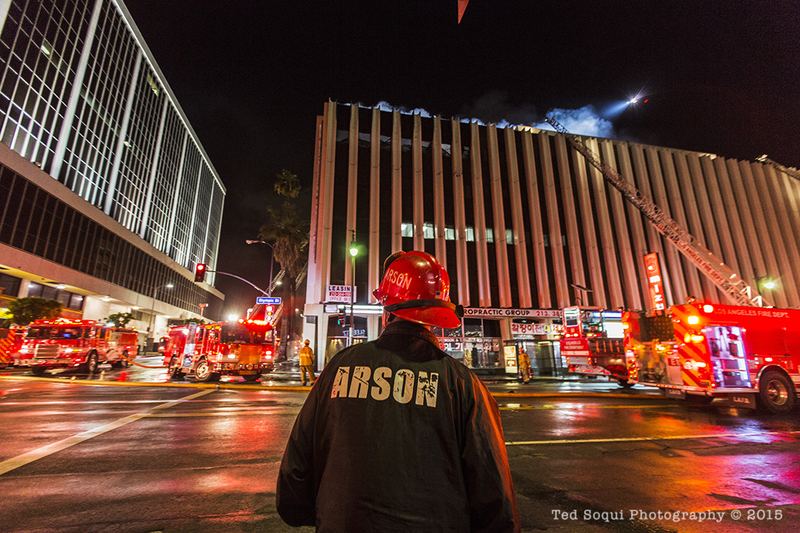 LA Photo: Night Fire on Olympic Blvd. 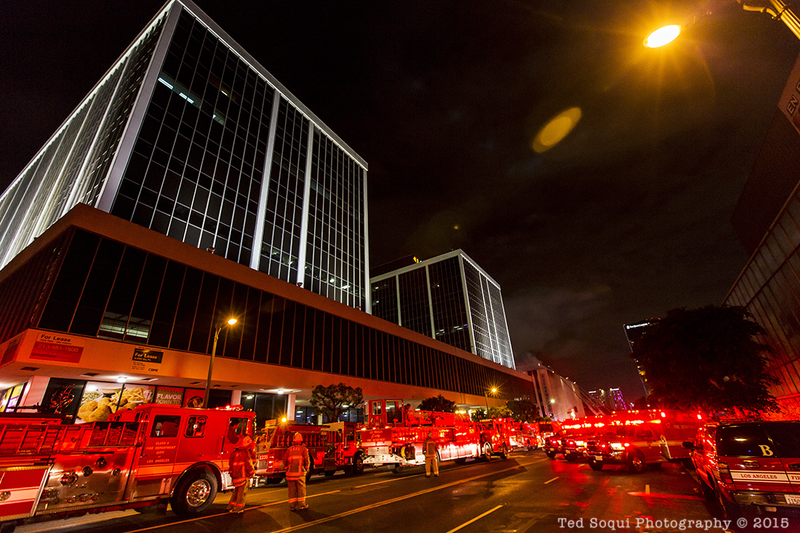 Only in Los Angeles do we get fire right after a rain storm. 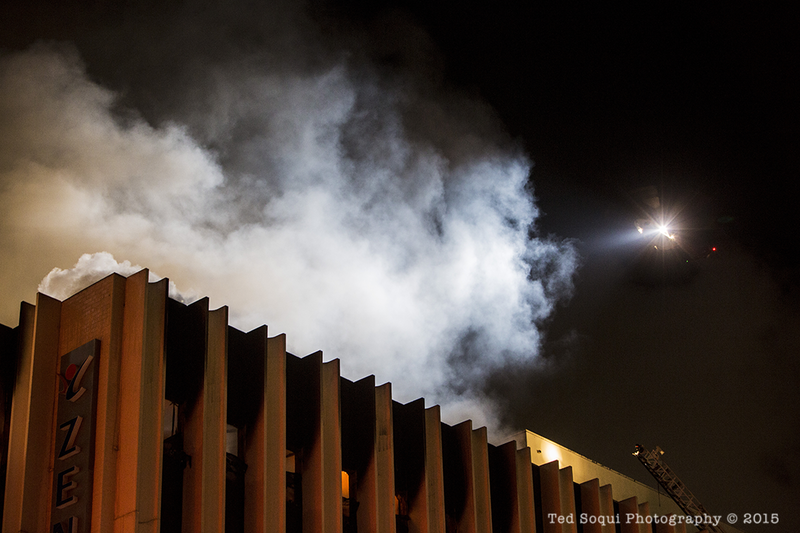 A six-story commercial structure caught fire, it took 170 LAFD firefighters to extinguish the flames. One rescue was performed. Olympic at Union was shut down to all traffic. 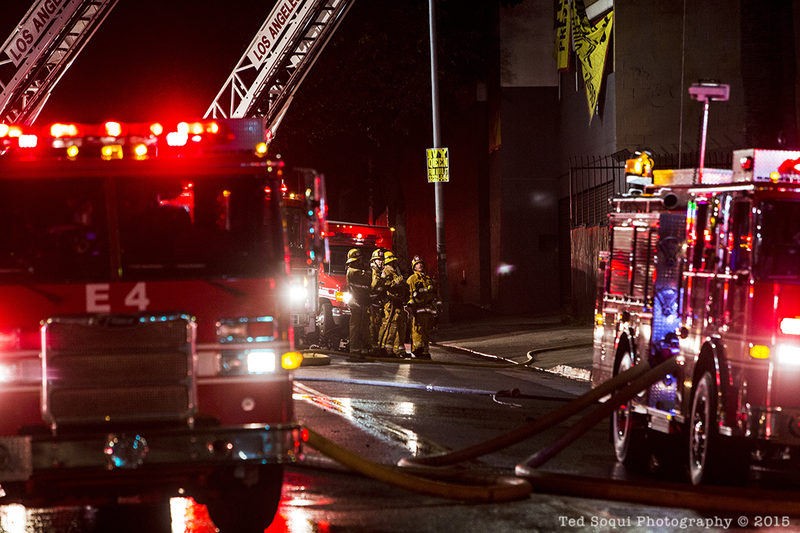 LAFD watching the ground floors. 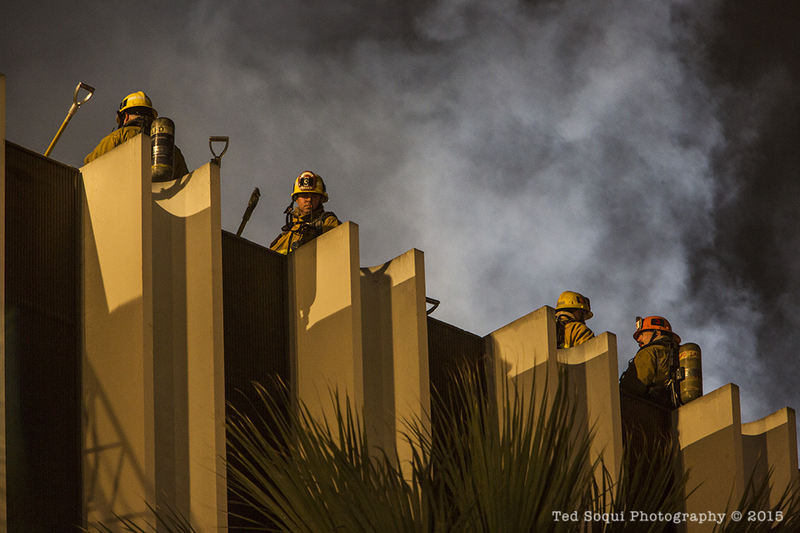 LAFD fire fighters on the roof.